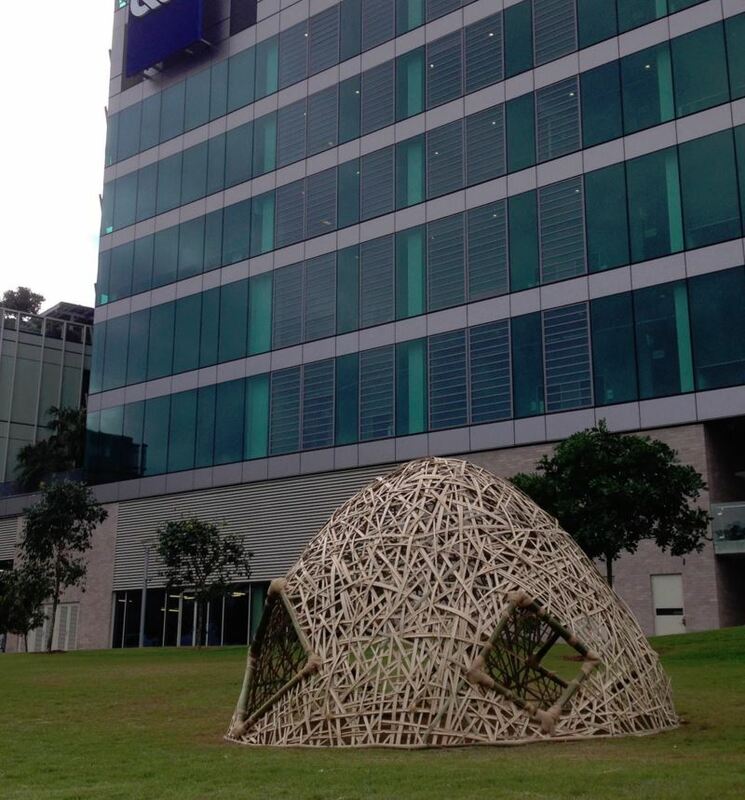 Design students from the Queensland University of Technology were recently given the opportunity to work with Sydney based grass-roots design collaborative Cave Urban on the design and build of some unique bamboo art forms for the 2015 Brisbane Festival. 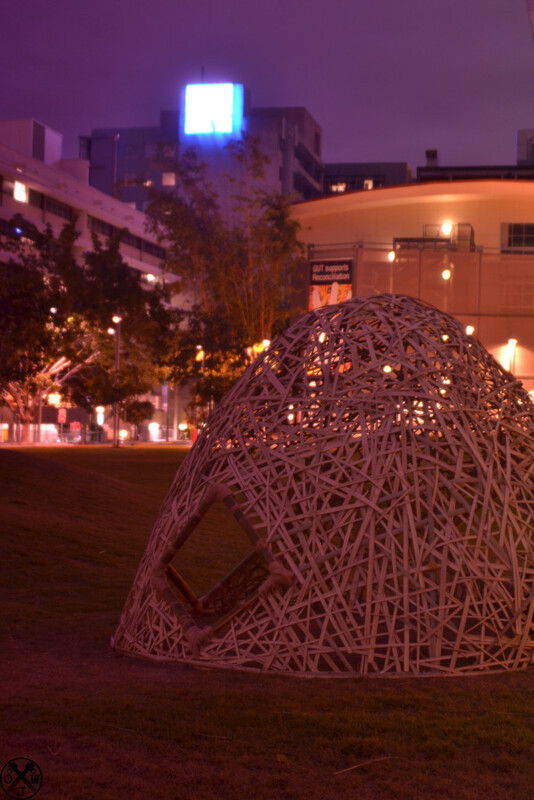 The bamboo structures called “Gardens Install” and “Sunder the Sun” were exhibited at the 2014 and 2015 Brisbane Festivals. 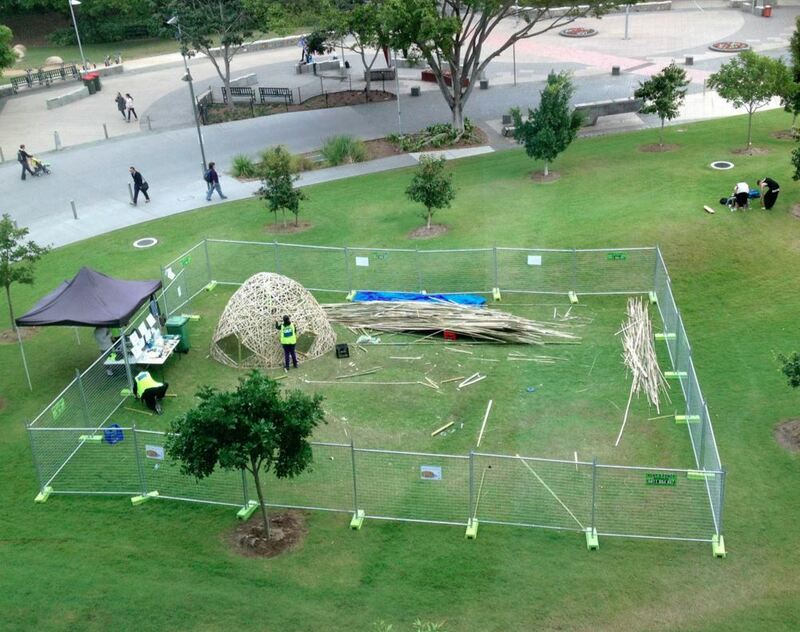 The Brisbane Festival exhibition aims to explore and improve the use of locally sourced bamboo as a fully renewable and extremely reusable construction material. 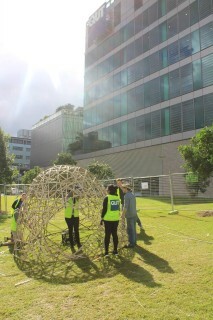 The resulting works have been featured at the Woodford Folk Festival as well as installed and displayed around the QUT campus and the Brisbane Botanic Gardens. BE Collective is proud to have contributed to such an interesting and educational initiative, especially one with a focus on environmental sustainability. With office facilities in Sydney, Gold Coast, Brisbane, Rockhampton, & Port Moresby BE Collective is ideally placed to service the east coast of Australia and Asia Pacific. From our head office in Brisbane we have undertaken projects as far as Angola on the west coast of Africa, to the Solomon Islands. Our office accommodations and policies reflect a pragmatic approach to ESD in support of comfort and efficiency. This is rarely able to be replicated by larger organisations given the current commercial building stock in Australia.